Welcome to the Ornithology Exchange, an online community of ornithologists. Support our participating organizations by joining or renewing your membership today. Thinking of using SUA to study birds in the U.S.? Read this first! The Airborne Hunting Act applies to "any contrivance used for flight in the air" and prohibits "harassment" which is defined as "disturb, worry, molest, rally, concentrate, harry, chase, drive, herd, or torment." Does this mean that ornithologists can't use small unmanned aircraft (SUA) to study birds? IF YOU HAVE APPLIED FOR A STATE PERMIT TO USE DRONES (A STAND-ALONE PERMIT OR AS PART OF YOUR STATE SCIENTIFIC COLLECTING PERMIT, PLEASE CONTACT THE ORNITHOLOGICAL COUNCIL. We want to hear about your experience, particularly if you were NOT working collaboratively with a state or federal agency. UPDATE 27 March 2018: A PowerPoint explaining all U.S. laws that pertain to the use of drones to study wildlife has been posted on BIRDNET. UPDATE JAN 2019: AS A RESULT OF THE ORNITHOLOGICAL COUNCIL'S EFFORTS, THE U.S. 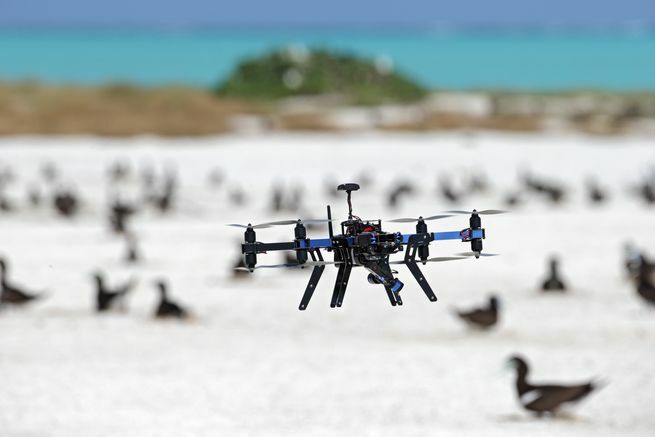 FISH AND WILDLIFE SERVICE WILL BE ISSUING A NEW REGULATION - PROBABLY IN THE THIRD QUARTER OF 2019 - TO ALLOW THE USE OF DRONES TO STUDY BIRDS. Of course, as the shutdown drags on, the work needed to develop this new regulation will be delayed. For months, it has been rumored that the USFWS would propose a formal regulation stating that the MBTA does not cover incidental take. The U.S. 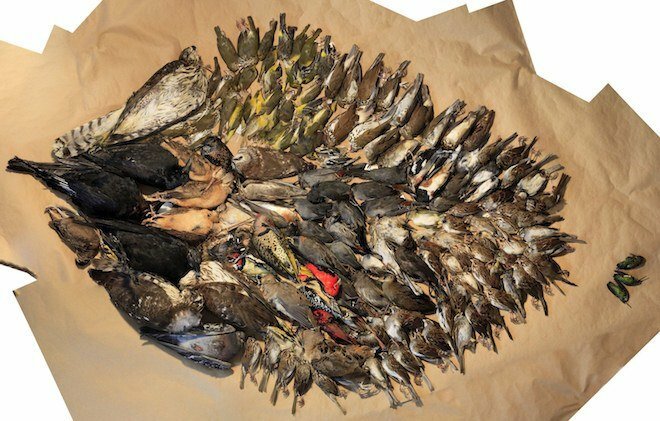 Fish and Wildlife Service proposes to establish regulations that define the scope of the Migratory Bird Treaty Act (MBTA or Act) as it applies to conduct resulting in the injury or death of migratory birds protected by the Act. This rule would codify the legal opinion in the Department of the Interior Solicitor’s Opinion M-37050 that incidental take resulting from an otherwise lawful activity is not prohibited under the MBTA. 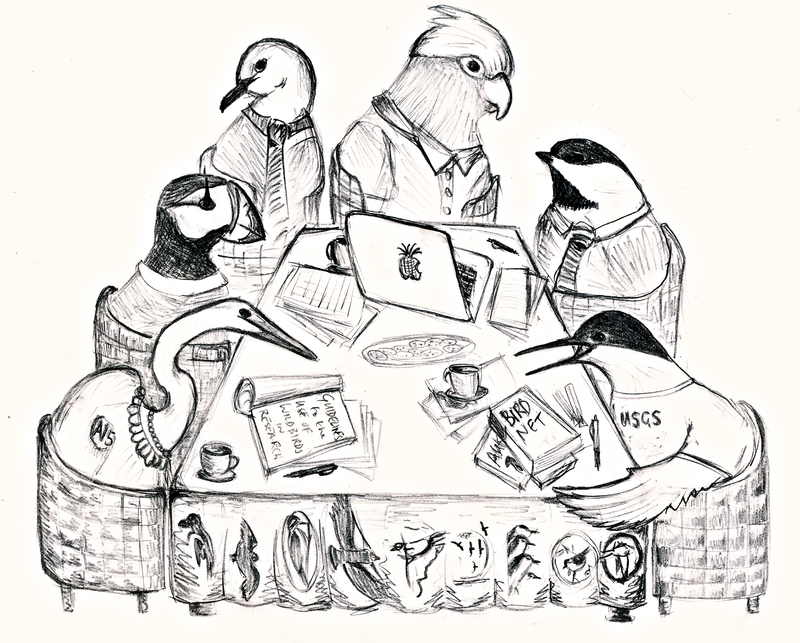 What is the Ornithological Council and why should you support it? The Ornithological Council is a great resource for ornithologists. 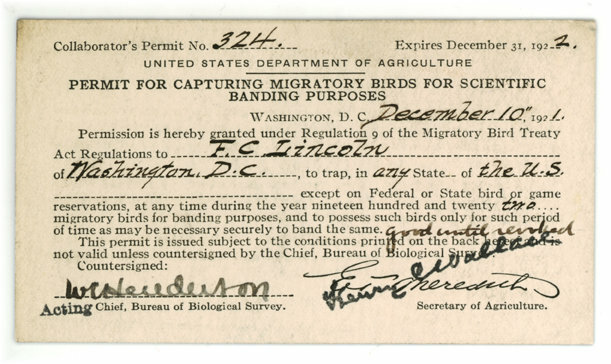 We help researchers navigate the permit maze, address animal welfare concerns, publish the peer-reviewed Guidelines to the Use of Wild Birds in Research. The Ornithological Council is the voice of scientific ornithology. Learn more here! 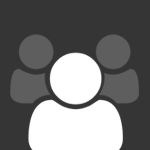 When you join a society or renew your OSNA membership via Membersuite (2019 renewal notices will go out October 8), please remember the OC. Visit the donations page to make a contribution. 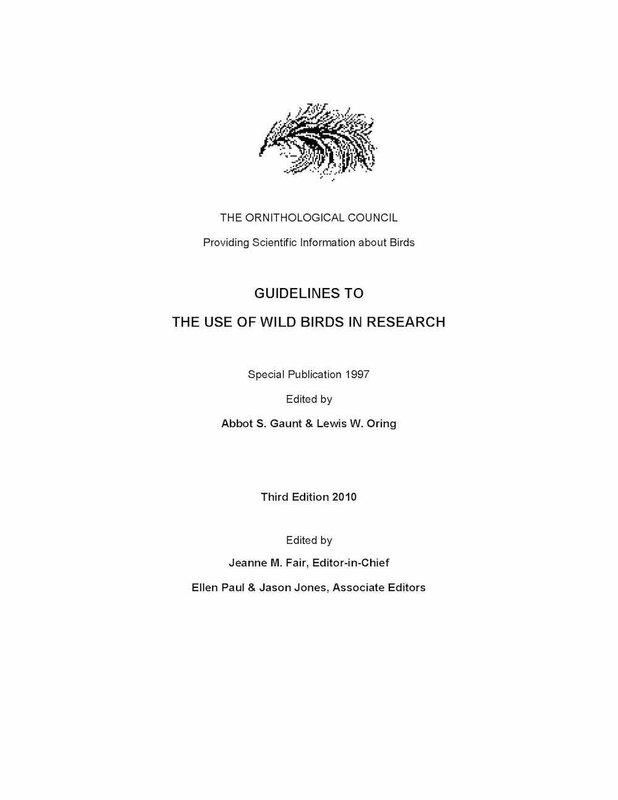 The Guidelines to the Use of Wild Birds in Research, published by the Ornithological Council, is considered a resource reference by the federal animal welfare agencies and your Institutional Animal Care and Use Committees. Help usmailto:ellen.paul@verizon.net to keep it current by making sure we know about your methods papers!